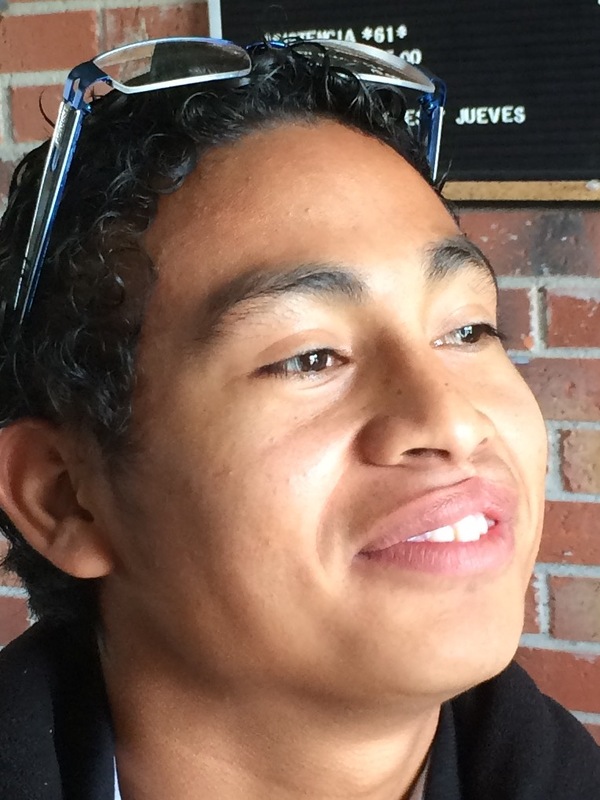 We are very happy and excited to share with you that Gerardo (20 year old) will be getting his surgery on upper lip done for free. After several tries petitioning with local government he was finally approved and is now in process of all paper work, blood tests and many other requirements. 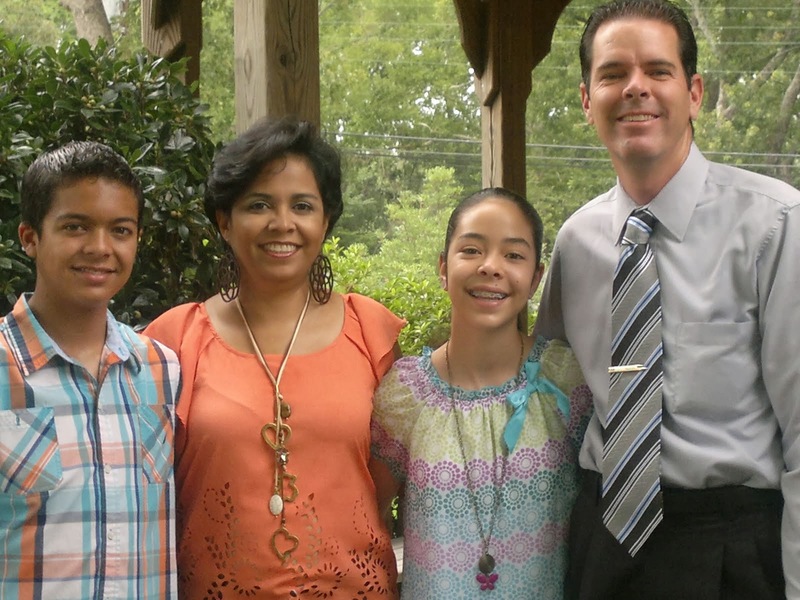 Thank you Lord for letting MCCH be a part in Gerardo's life and thank you for prayers and financial help. Joyful service on 9/18/16 at Tlacote Church of Christ as Omar (age 15) and Efrain (age 14) together with church member Fernando (who brings water to MCCH while without well). All accepted Christ and where baptized today. Thank you Lord for allowing us to celebrate this event. Please continue prayers for water at MCCH to include rain water. We have set up a whole rain water collection process: the black water tank (when full of rain water) provides a hole week of washing dirty laundry for all the boys and the white barrel is used for mopping floors. This represents a 40% savings in water. Well pump has not yet been repaired so please continue in prayer about pump repair or replacement. Thank you Lord for the rain you send us. Some very important updated information about MCCH changes. 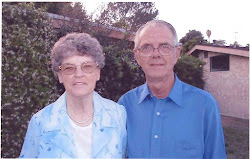 We (Douglas and Monica) have always tried to dedicate our lives to serving the Lord (just like Bob and Bev Wright showed us) in all possible ways and try to get others involved in serving also. Over the past 2 years we have had a total of 3 families take the responsibility of house parents here at the boys home, thinking we could do more things away from actual boys home. 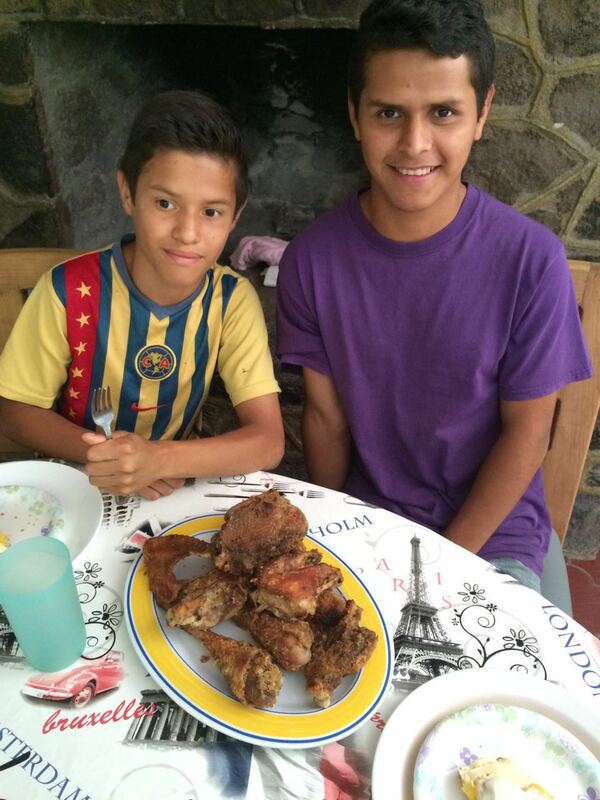 It has not been easy and we finally have understood from God that He wants us with MCCH (close to boys), So with this said we have decided to move back into the children's home but this has created a problem with the house parents (Nicolas and Geneva Gurrusquieta in picture below) living in apartment adjoining home. We had given them a 3 month trial period before making them official house parents and as of the 3rd of September 2016 they are no longer involved with MCCH. They have moved out of property and all we ask is that the Lord bless them wherever they will be working, these past months have been very tough in many ways but our concern always has a focus on the boys well-being and care. We are very happy to move back with them especially when they all have responded so well to us. They are an important part of our lives. Yes this means more work but it's serving our Lord and that's the main goal. The boys headed back to school on 8/22/16! New school and much to learn. We are asking for your prayers and for you to consider sponsoring the boy's monthly school fund. The cost to send them all to school at this time is $800.00 per month (American). We are in immediate need of $1200.00 by 9/1/16 to cover tuition. MCCH is a very busy place! Despite all of the challenges we are facing, God remains faithful in His provision and in His love. We give Him all the praise! Below is a picture of Bev "tutoring" the boys on how to process a chicken. On this day several of the boys had the pleasure of learning how to butcher and process chickens. Thank you Lord for providing and teaching us at MCCH that you must work to enjoy the fruits. Thank you Lord for all those involved in the farm project at MCCH. Thank you Lord for our wonderful supporters in the U.S. and here in Mexico. Omar (left) and Efrain bottle feeding Eve's last two little piglets left from 12. We decided to name these two Cain and Able. The boys have had a taste of pig farming and how it's real work but fulfilling and very useful for them. 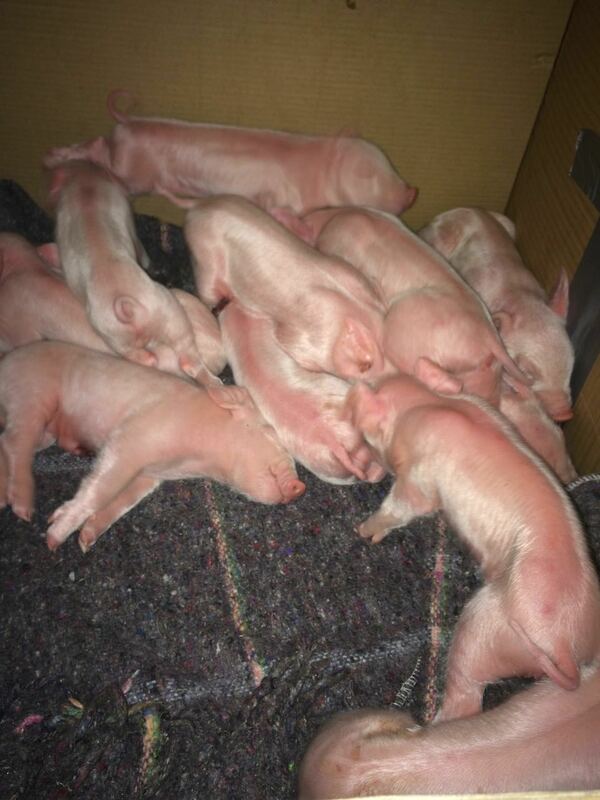 Please pray next time Eve brings us her piglets they may all survive. On behalf of all the boys here at MCCH we thank you for constant prayers and support. MCCH was host to 68 visitors this past Saturday as both FEDEX and UPS workers with families held a soccer tournament on our turf. Then MCCH boys (in orange) played finals against challengers (UPS) and beat them. After the game we all fellowship with a delicious meal. A little late, but here are the May birthdays! Max's 14 birthday: A full house at his party with Bev Wright, Ann Creekmore, new house parents Nina and Nicolas, 3 visitors and of course all 13 boys along with Douglas,Monica and their two children, thank you Nina for the delicious cake upon these tough financial times here at MCCH, the Lord has allowed us to share pure love with Max on this special day. Daniel who is new to MCCH had his 18th birthday on May 18th! Welcome to MCCH Daniel! His face reflects joy because this was the first time anyone had celebrated his birthday. Please continue in prayer for MCCH boys. Water well justification usage to government is on its way with 80,000 of these tiny plants being planted. The only problem is our well is not able to keep up with irrigation. Please pray the Lord will bring MCCH the solution. So far we have planted around 15,000 asparagus plants and it has been raining on them. Lord willing production should start around end off summer and government inspection will finally turn legal well papers over to the home. There's a possibility of investing in a complete "drip irrigation system" but we have not been able to come up with funds. We are still looking into the cost for this. There have been just enough donations for basic necessities. Please pray for financial income, there are many needs and still many expenses to cover here at MCCH.